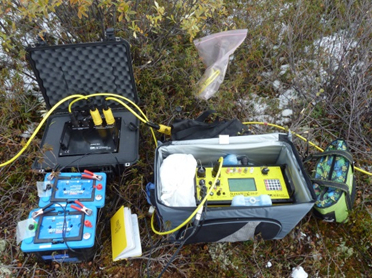 Our client, Ground Truth Exploration, Inc., used AGI instruments and software to prove that gold deposits exist in areas of the Yukon Territory in Canada. 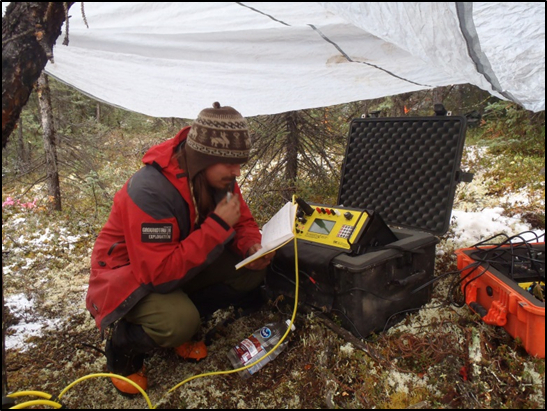 The company had already ground truthed the gold deposit, but they wanted to prove that they could map any gold deposit locations in the Yukon frontier, and they used our tools to show how it could be done. 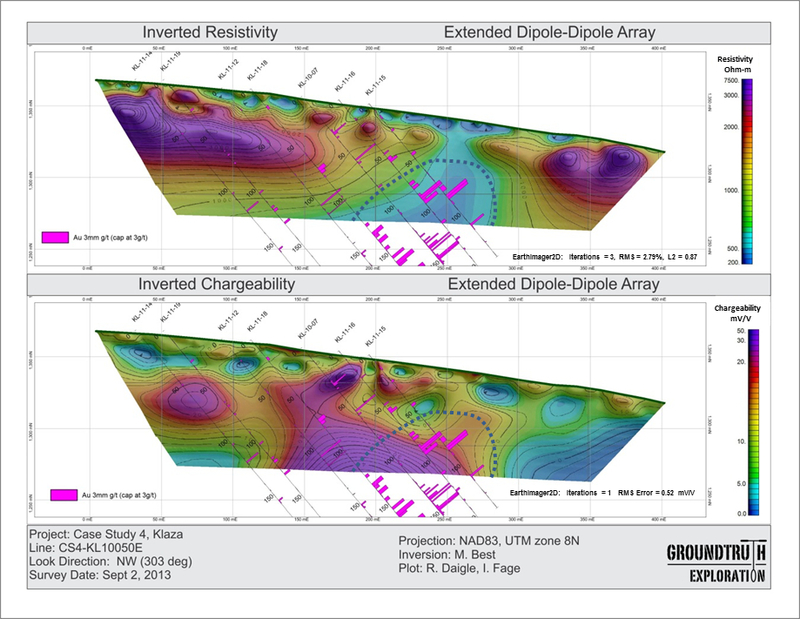 The client used the SuperSting™ R8 and set out a line of 84 electrodes spaced five meters apart to measure resistivity and induced polarization (IP) using a combination of inverse Schlumberger and Dipole-Dipole electrode arrays. 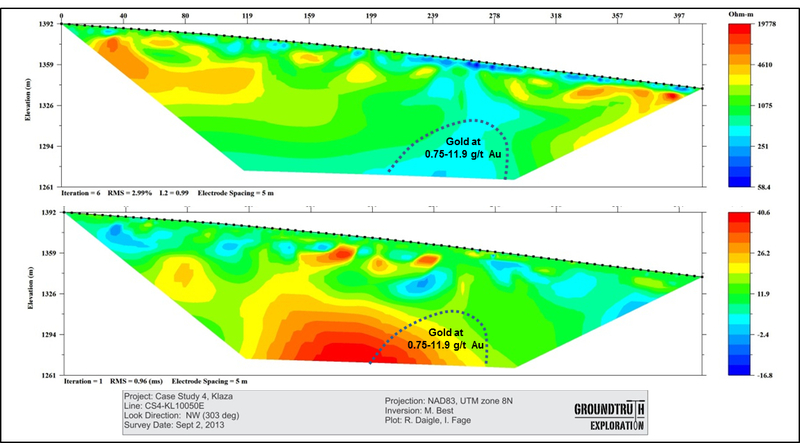 SuperSting™ R8 induced polarization data processed with EarthImager™ software was successfully used to locate economically important gold deposits in high resolution with relatively low transmitter power. A strong correlation was found between resistivity/chargeability features and mineralized zones (where gold deposits are located). The client was able to prove what they ground truthed—that gold deposits existed where they anticipated. Environmentally friendly. 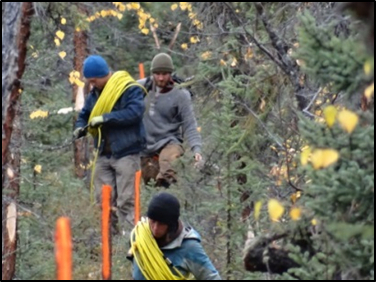 No line-clearing was needed for this survey—AGI cables are lightweight and break into bundles so users can snake through any type of terrain (even forests) with minimal disturbances. Simple to use and deploy. The lightweight system requires only a small crew to carry—it’s not a giant system that needs to be airlifted to the location. Similar case histories include the use of resistivity and induced polarization to identify and map other deposits, including copper, gold, and silver.